If you’re ready to build strength and a toned upper body, the the pull up is perfect. Pull-ups are performed by lifting your body up to a bar and lowering yourself back down. This bodyweight exercise is not the simplest exercises to perform, but it has major benefits. By learning and performing pull-ups correctly, it will assist you with completing multi joint, or compound exercises. This is because these require you to use more than one muscle group and more than one joint. The exercises require a maximal amount of muscle fibres and they can help you gain mass efficiently. Building strength and form with pull-ups can make weight training exercises including pull-downs, rows and curls. 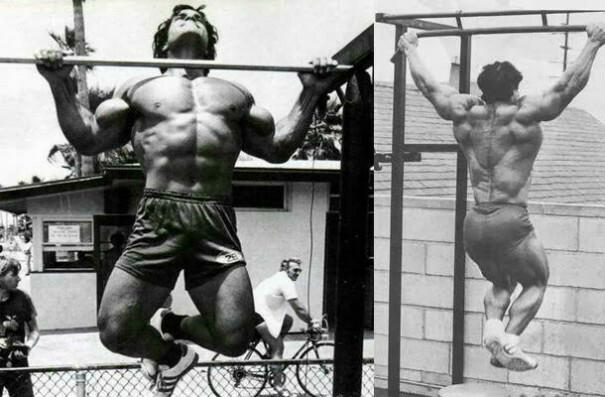 By regularly practising the execution of pull-ups, it will assist you with performing these exercises with ease. 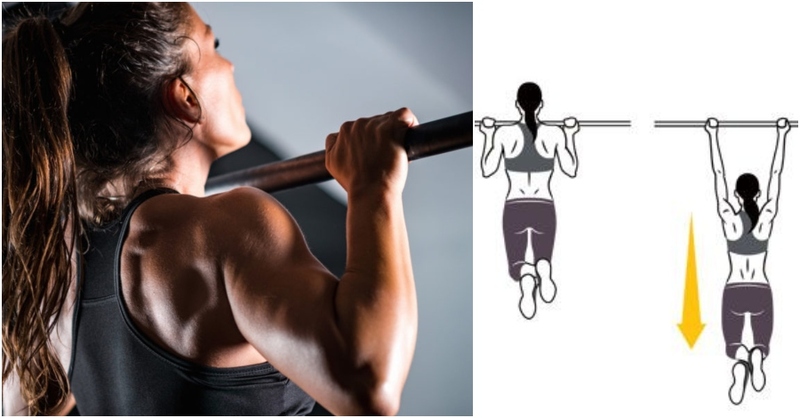 Focusing on mastering pull-ups first will also increase any arm workout, this is due to the strength build up and form technique,as pull-ups rely mainly on arm control to execute the exercise. The pull-up, performed with a neutral or supinated grip, is the foundation for building biceps, lats and upper back. They’re usually focused at helping you increase the number of pulls you can do, not increase muscle mass. They often require you to change your regular training programme and reduce your training volume or load. This programme is designed for hypertrophy: Unadulterated muscle growth. Secondly, this can be incorporated to your already designed workout. Palms face each other, as used when you do pull-ups with a V-bar attachment or parallel chinning bars. This will place more emphasis on the brachialis. This is an underlying muscle that pushes the biceps up and increases your upper arm. If your brachialis has been neglected, introducing pull-ups will result in size increases, even up to an inch in upper arm size. Palms facing you, overloads the elbow flexors and incorporates more muscles, compared to the wide-grip pull-up, plus it maximises a cross sectional area of the muscle. As a bonus, grip strength is correlated with arm size. Now you have an inch of new upper-arm muscle mass just waiting to be built. Every day you’re going to do several sets of pull-ups. Never go to failure on any set and separate each set by an hour or more. Perform some pull-ups after breakfast. A set before you train. A set in the afternoon or evening, etc. Use anything that can utilise or replicate a bar. You’re going to accumulate hundreds of extra pull-ups over a 4-week period. Some days you’ll achieve 10 or 20 and other days you’ll reach 40 or 50. Each week aim for more total pulls than the previous week. Once a week, you’ll need to set a timer for 5 minutes and perform as many pull-ups as you can with good form. Add this number to your weekly total and take the next day off. If you can already do 12 to 15 good pull-ups, then choose 10 as your target number per set. If you can’t do at least 12 pull-ups, then you will need to practice until you become stronger and then come back to this programme. Once a week, the day after Challenge Day, make sure you rest as your body needs to recover, this is so your muscles can grow but importantly, you reduce injury. FINAL TOTAL FOR PHASE I: 887 pull-ups in 4 weeks. Step 1: Establish your 6 rep max on the weighted pull-up. Add weight with a dip belt, weighted vest, or by holding a dumbbell or plate between your legs. Step 2: Perform 25 total reps per workout, using several sets with that 6 rep max weight. It doesn’t matter how many sets it takes, and it’s fine if you’re down to doing doubles or singles at the end. Everyone will be a little different here. Just get 25 total reps with your 6-rep max, taking as many sets as you need. Rest as needed between sets. Vary the grip between neutral and supinated. Grip width can also be varied to prevent any overuse issues. If three times per week is too rough on your elbows, perform twice per week for 6 weeks.